Rodents, especially rats and mice, can cause a wide range of problems anytime they invade a house. From eating up all the food, furniture and fittings to leaving their droppings all over the place, they can be more than just a nuisance- not to mention the fact that they also carry diseases with them and are quite capable of infecting both you and other members of your family. The problem of rodent invasion is quite common in Toronto and its surroundings and, naturally, there are also many companies that provide mice and rat control services in Toronto. Once rats, mice or both invade your house, it is in your best interest to have them removed immediately before they can cause any further damage and you need someone who can take care of them within the shortest time possible. You need a rat and mice control in Toronto company that will not only make sure that the problem is dealt with immediately but also one that can make sure that the rodents do not come back and that you do not have to deal with the same problem again in the future. 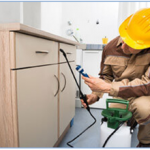 Pestico is one such company and they have established quite a reputation as one of the best companies to go for rodent control services in the city of Toronto and its surroundings. Another key factor to consider when looking to hire an animal control company in Toronto is the methods and techniques that the companies employing in dealing with the problem. Pestico uses only the safest techniques and methods which ensure that new problems are not created when dealing with the old one. Only safe and proven methods such as electric traps, mechanical barriers and glue boards are used and in very rare cases will any chemicals or pesticides be employed in their work.